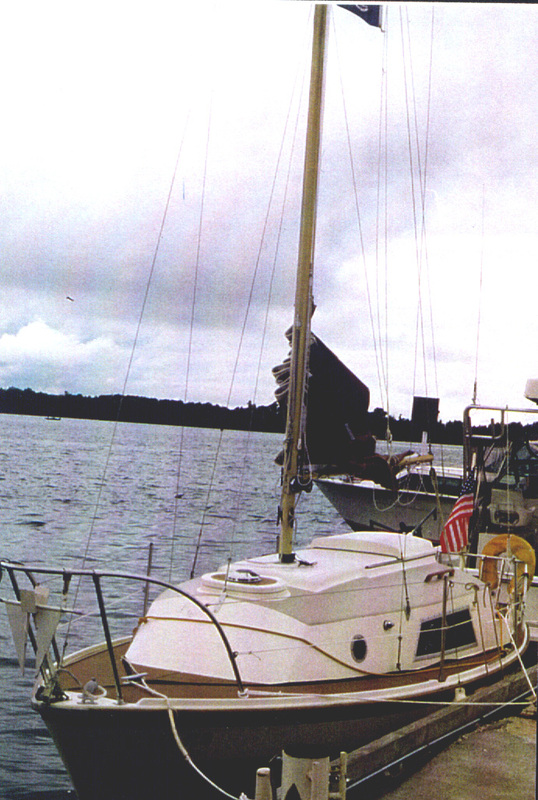 I have enclosed some pictures of my boat, SHOREBIRD II of Stonington, a 1971 Westerly Warwick (hull number P-69) that I keep in Escanaba, Michigan near our summer cottage. 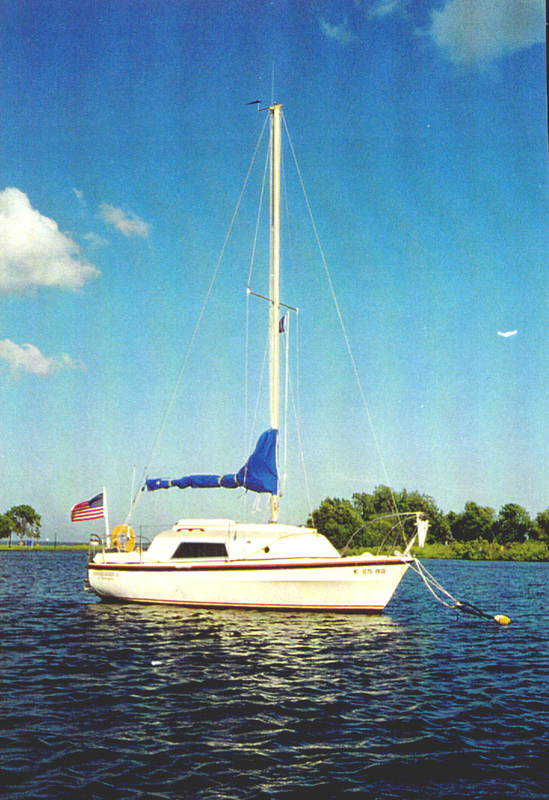 This is the 10th sailboat that I have owned over the last 45 years, and my second twin keeler (my first was a Vivacity 20). She is a great little boat. 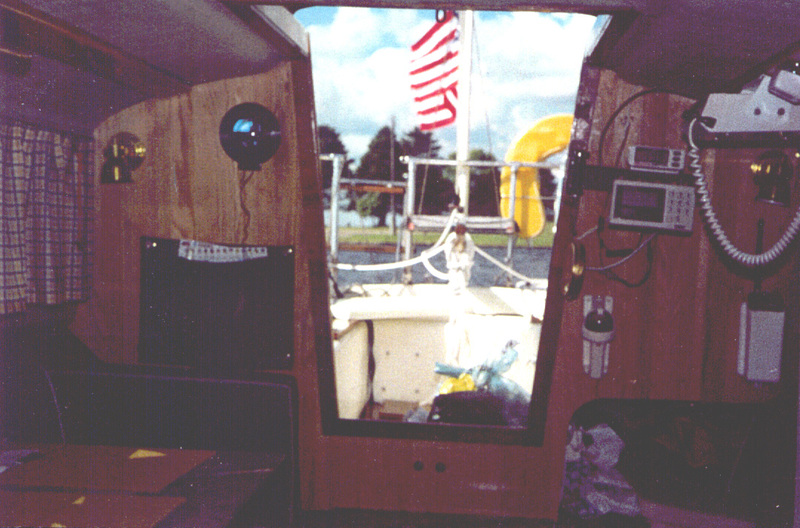 I have done a number of upgrades including: treating the bottom with an epoxy barrier paint; resurfacing the decks with Treadmaster non-skid; adding an autopilot (one of the best additions for any singlehander), a depth sounder and knotmeter, a new compass, and Nicro vent on forward hatch; covering the bulkheads with wood; installing new brass light fixtures and a second battery; adding a teak grate for the cockpit sole; replacing the hull liner with indoor/outdoor carpet; adding new grab rails on coach house, new running rigging, jacklines, lazy jacks, and boom vang; replacing the old running lights with new; adding various racks for dishes, flatware, tools and flashlights, magazines, and books and a medicine chest in heads area; purchasing a self-inflating life raft for safety; running motor controls to the cockpit; etc. etc. I still have a list of projects ti) do on the boat when time permits. I singlehand SHOREBIRD II most of the time, although I do enjoy sailing with friends and with our granddaughter Stephanie who we are raising. 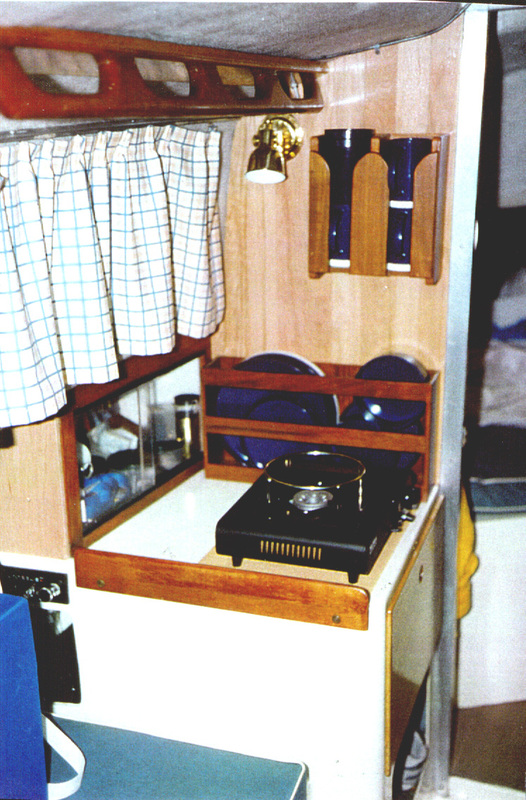 Port side of SHOREBIRD's main cabin. 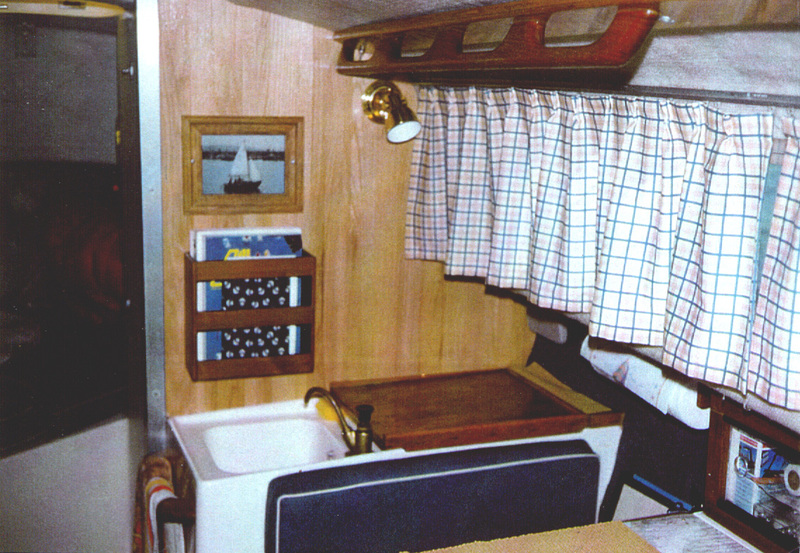 Starboard side of main cabin. 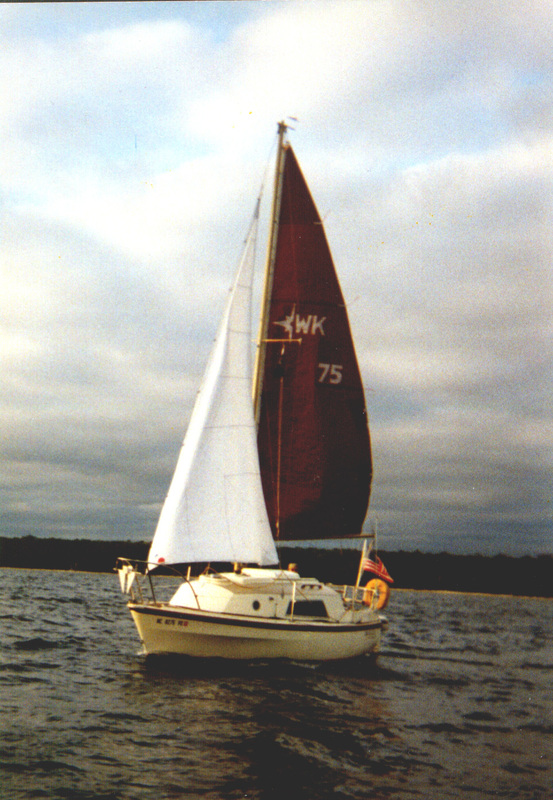 "SHOREBIRD II of Stonington", a Westerly Warwick owned by Craig and Dotty Anderson of Chicago, Illinois, under sail in Green Bay near Washington Island, Wisconsin. 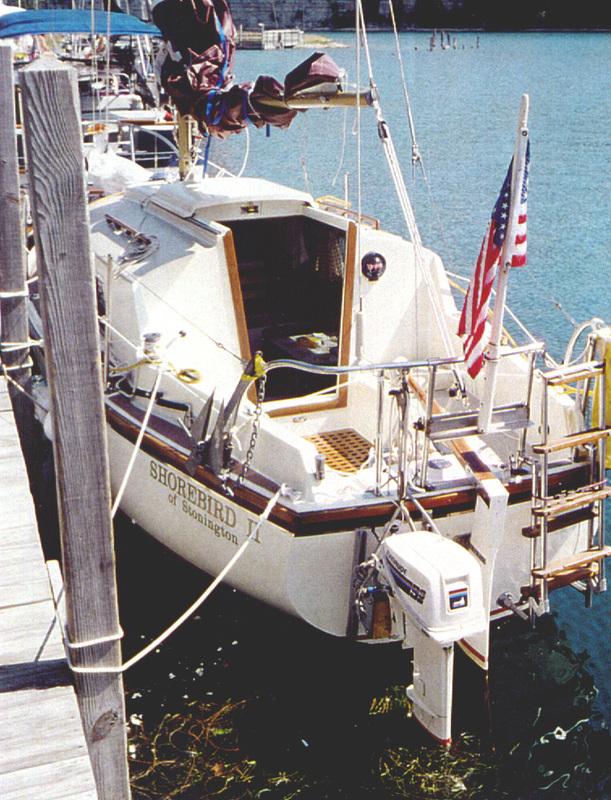 "SHOREBIRD H" at her mooring in the marina at Eseanaba, Michigan. Here she is with her deck newly covered with Treadmaster.